Oliver Twist Oliver Twist the modern filmed version of Charles Dickens bestseller, a Roman Polanski adaptation. The classic Dickens tale, where an orphan meets a pickpocket on the streets of London. From there, he joins a household of boys who are trained to steal for their master. 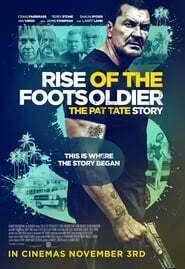 Rise of the Footsoldier 3 Notorious gangster, Pat Tate, rises through the ranks of Essex's criminal underworld. A prequel to the 'Rise of the Footsoldier' franchise.